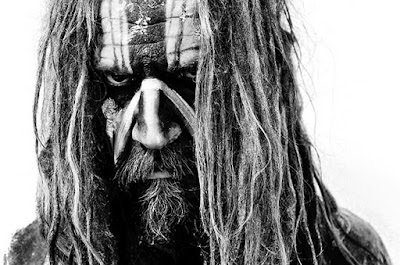 Rob Zombie's Great American Nightmare is returning to Chicago this fall. Following a 2014 appearance in the city, the event returns to Odeum Expo Center in Villa Park, IL (just outside Chicago) for its second engagement from September 25-November 1. The annual horror attraction is a creative collaboration between Zombie and preeminent haunted house producer Steve Kopelman. The first two debuted at Great American Nightmare in Scottsdale, Arizona last year, while “31” is a brand new, never-before-seen haunt based on Zombie’s forthcoming film of the same name. The fully immersive haunted house experience at Rob Zombie’s Great American Nightmare will include the ALL NEW Bloody Boulevard with major carnival rides, freak shows, musical entertainment, roaming characters, themed food and beverages, games and vendors each night. Zombie will perform two concerts during the event, with live shows set for October 2 & 4. Tickets for Rob Zombie’s Great American Nightmare go on sale Friday, July 31 at 9:00 AM CT, with prices starting at only $25. Each ticket includes access to all haunted house attractions and the Bloody Boulevard activities. Tickets for October 2 & 4 include the Rob Zombie concert and will be available starting at only $45. A limited number of VIP packages will also be available for purchase at www.GreatAmericanNightmare.com. All VIP packages include a commemorative t-shirt and quicker access to the haunted attractions than general admission. Some packages also include a designated viewing area for the concert and a VIP-only bar.